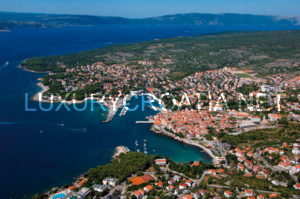 Surface of Kvarner is approximately 3.6 thousand square kilometres and population is more than 305.000 inhabitants. 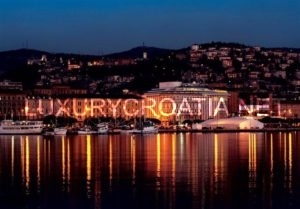 The biggest town in this area is Rijeka with 144,000 inhabitants.Kvarner is well connected with European tourist generating markets by road, plane, ship and railway.Coast and islands have mediterranean climate with hot summers and mild winters. Highlands have moderately continental and in higher areas mountain climate with moderately warm summers and cold winters. Due to its protected and attractive geographical position, the Kvarner Bay has from ancient times been an interesting target of numerous conquerors. Already in 1200 BC, an Illyrian tribe of Liburni inhabited the coasts of Kvarner where they traded in amber. The remnants of their forts have been preserved until today. The Greeks, Romans, Eastern Goths, Slavic peoples, Francs, Byzantines, Hungarians, Venetians and Austrians came afterwards. All of them left inerasable traces of their civilizations. There are today in the Kvarner region 276 protected monuments of culture, of which 177 historic units and 161 historic buildings. Even though it is most lively in summer, Kvarner will be an interesting destination in other periods of the year, too, especially attractive to those who do not like crowds and confusion but still offering a great number of manifestations, possibilities for walks, active holidays, participation in interesting workshops and enjoying in wellness facilities. When it comes to gastronomy, Kvarner is especially known for Kvarner scampi and the vrbnička žlahtina Wine. Kvarner’s greatest values are its beaches, preserved environment and clean sea.The most beautiful beaches carry a Blue Flag, a symbol of a preserved, safe and pleasant environment intended for vacation, entertainment and recreation, high quality service, cleanliness of the sea and the coast, as well as of the beach and marina maintenance level.